The Wide Margin Loose Leaf Reference series of Bibles from Hendrickson Publishers are a note-taker’s dream come true. Having both wide margins and loose leaf pages means you can take notes within the margins, but you are not limited by just the space on the page. You can add as many sheets of paper as you need, anywhere you need. 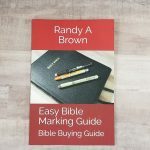 This is great for adding articles, charts, outlines, definitions- just about anything you could possibly need for teaching, preaching, or study. 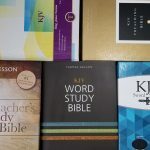 They are available in many translations including KJV, ESV, NASB, NRSV, NIV, and some are available with study notes. 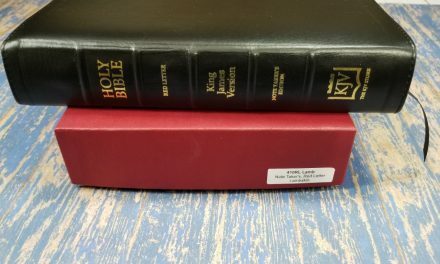 This is a review of the KJV edition. Here are the basic features. The text is black letter and is sharp and crisp. It has a nice bold 9-point font, with what looks to me to be a 10-point leading, that is easy to read and mark. The text is not self-pronouncing, but it does have headings in the text and footnote indicators that tie the references to their specific portions of the text. I especially like the headings in the text, as these are hard to find in a wide margin Bible. The headings are bold and look nice. 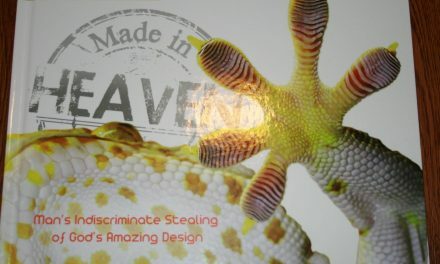 This is the nicest paper I’ve seen in a Bible. It is 40lb weight and has almost no ghosting. It takes pen and color pencil really well. There are 19 blank sheets that you place anywhere you want, giving you 38 pages to write on. It is available with or without the binder. It takes a three-ring or five-ring binder. The binder that it comes with is nice, but there’s not much room for adding paper. It works fine with just one binder, but for adding pages you will want another binder. 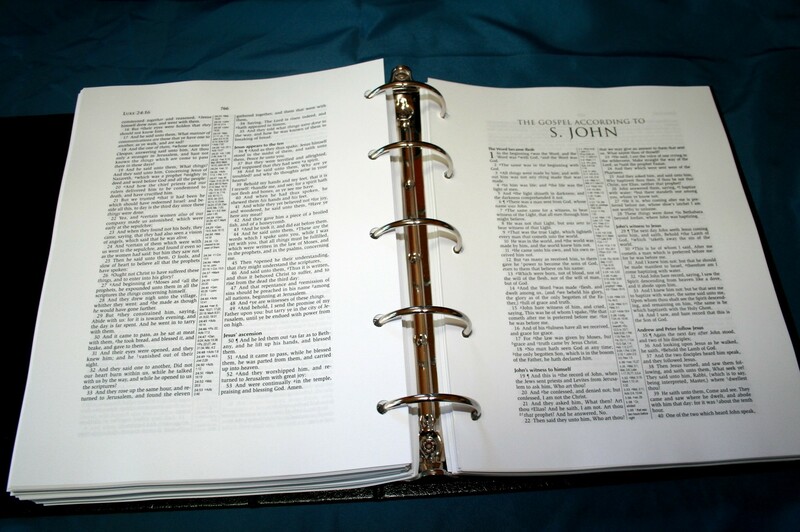 You could buy another binder for using just the portions of text you want, or you could have a binder for the Old Testament and another for the New Testament. You are not limited, so you could break it up any way you want. The references are in the center column. The references are extensive, with Genesis 1:1 having seven. There are indicators in the text that tie the text with the references. The center column also includes translator’s notes. 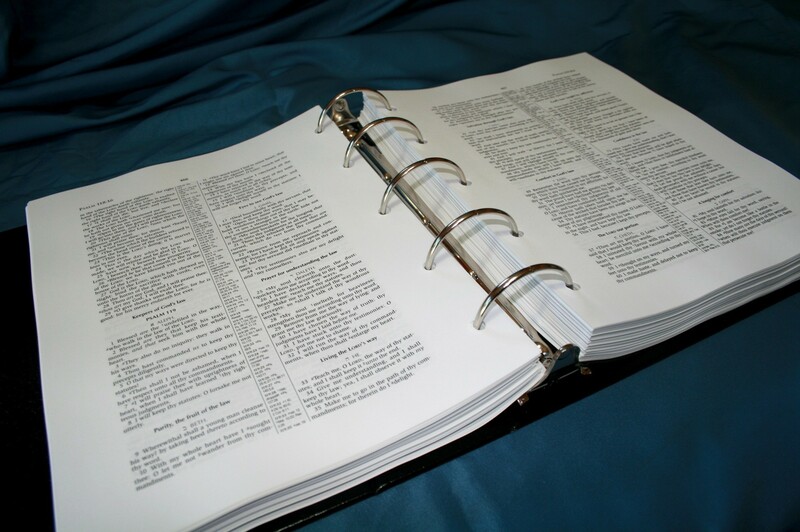 The concordance is 123 pages and is in a three column format. There are lots of entries. The entries are in bold and the references are one line per reference. 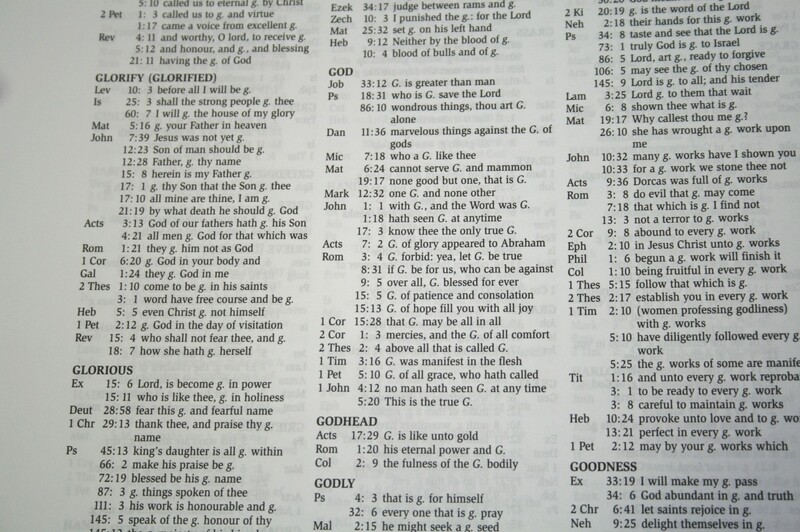 This wide margin loose leaf Bible is great for students and teachers. 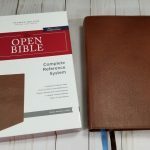 Having the ability to add sheets for notes, charts, outlines, etc., makes this Bible an invaluable study or teaching tool. I highly recommend the Wide Margin Loose Leaf Reference in KJV from Hendrickson Publishers. Hendrickson Publishers provided this review copy for free. I was not required to give a positive review- only an honest review. 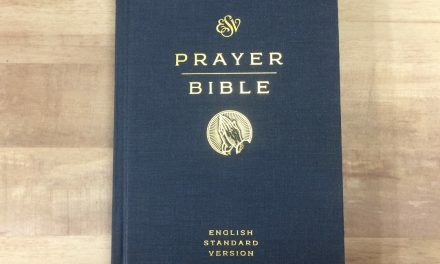 I am looking for this type bible king James version, but with larger print, for preaching—-a link would be nice!